RVing in Florida - This is a great way to discover the sunshine state for snowbirds, retired folks, vacationers, and adventurers! 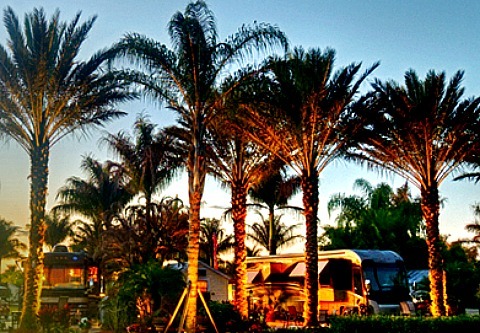 Florida is amongst the top RV destinations in the country. 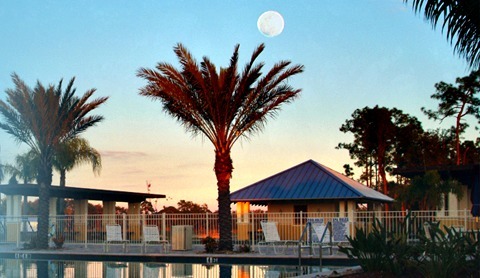 Because the weather is terrific year round and there are so many sights to see in our state, Southwest Florida has many amenities that cater to RVers such as resorts, campgrounds, sales and rental centers, and storage. For those thinking of retiring to Florida and don't know where you want to live, you might want to consider checking out our state by RVing first. 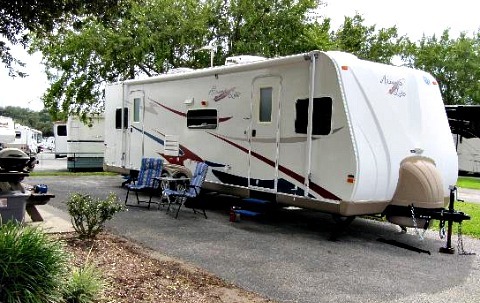 You can stay at different RV resorts or campgrounds from north to south to help figure out your favorite location. And, for those considering snowbirding, renting or buying an RV might be a more affordable option than renting or buying a vacation home. That may also be the least expensive way to go on adventurous vacations, especially for large families, to go see all the sights ....... from Florida Panhandle beaches to old-world St Augustine, to Disney World, Cape Canaveral, Tampa, Miami, the Keys, and of course, Southwest Florida ........ aka paradise! RV stands for recreational vehicle, which is basically a house on wheels. There are 2 kinds of RVs, motorized and towable. Motorized RVs include motorhomes or coaches, campers, and vans. Towable RVs include fifth wheels, travel trailers, truck campers, expandable trailers, pop-up or folding camper trailers, and sport utility RVs. 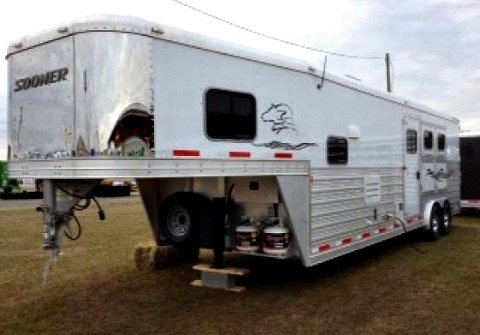 Specialty RVs include horse trailers, ice fish house trailers, and RVs for the disabled. Park Model RVs look like actual houses, and are similar to regular RVs in that they are temporary quarters that need to be hooked up to site water, sewer, and electricity. 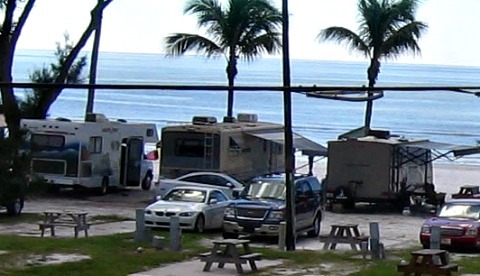 RVing in Florida - Motorized or Towable? When most people think of RVs, they think of motorized RVs. Like the the kind that rock bands and sports stars travel in ......... well, they're not just for celebrities! 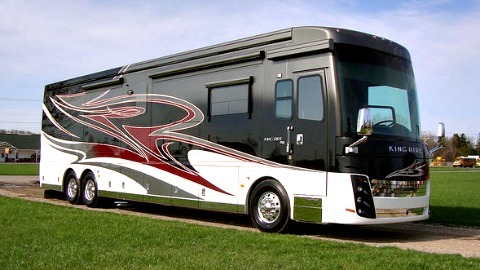 Advantages of motorized RVs are that they are the most comfortable and can be downright luxurious. The other thing is that that your vacation starts the second you leave your driveway ...... you have access to everything in the motorhome such as food, drinks, bathroom, games, etc. as you drive. And, if it's raining when you get to your campground, you don't have to get out into the weather to set up ..... just plug in your generator and all the conveniences of home are available right away! You can tow a boat, or an vehicle for runs into town and not have to deal with unhooking a towable RV. May be easier to back up for parking than a towable. Motorized RVs are safer in inclement weather and more secure. Towables have their advantages too, especially if you already have a pickup truck. They tend to be less expensive, have lower gas and maintenance costs, are easier to store, and can be detached from the tow vehicle to make grocery and day trips if you don't have an extra vehicle to tow. If you plan on staying at your site for a longer period of time, a towable might be the better option. You will need experience in backing up a towable. Most experienced drivers can drive even the largest RVs, but you'll need to consider what you are comfortable driving. 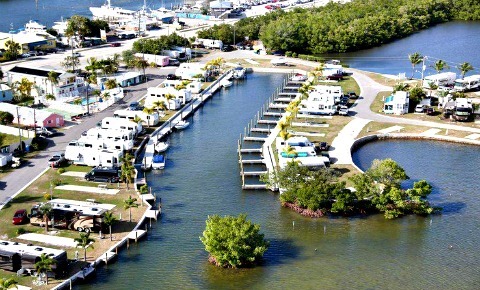 RVing in Florida - Buy or Rent RV? 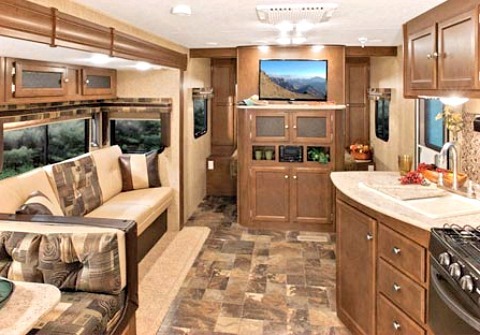 If you've never RV'd before, it makes sense to rent one to try out the lifestyle for a week or 2 before buying. It typically costs $1500/week to rent. Once you have experience and decide to take the plunge, I would suggest that you buy an RV because it becomes an investment. 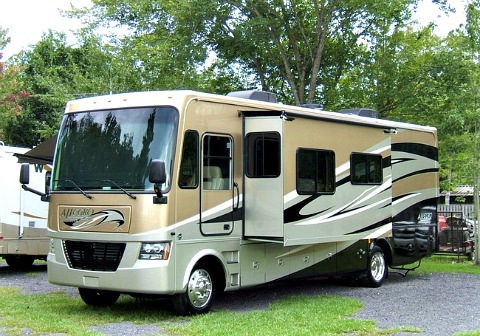 An RV retains value so you can get money back if you sell it, or trade it in for for a larger one. Why North Trail? Located in Ft Myers, they are family owned and have operated for over 30 years with the owners on site. 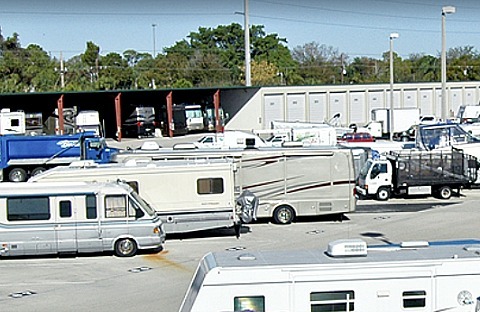 They have a new 50 acre facility with a huge selection of over 350 new and used RVs for sale. 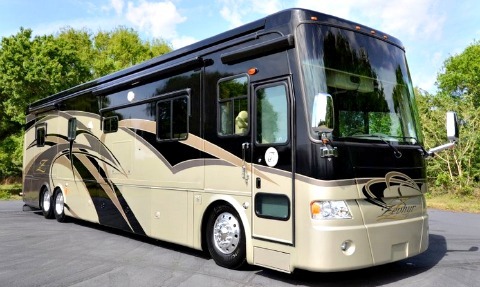 They offer state-of-the-art RV equipment to better serve and diagnose problems, lengthy orientations, and extensive prep ....... including full fuel and propane, plus oil and filter changes for pre-owned. 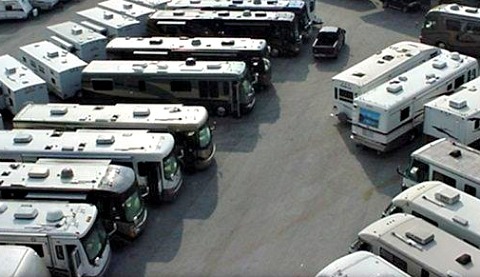 Full lines of service include chassis and collision centers with 2 full paint booths, alignment equipment, tire balancing, and full RV technical support with Master RV technicians. North Trail features the very popular Newmar and Tiffin motorhomes for sale along with Fleetwood, Keystone, Jayco, Thor, American, Heartland, Pleasure Way, DRV, and Winnebago coaches and RVs. Here in Cape Coral, we don't have any RV resorts yet, but plans are in the works to build the luxury RV Resort at Tranquility Lake off of Burnt Store Rd. In the meantime, there are plenty of other resorts to choose from around SW Florida in North Ft Myers, Ft Myers, Ft Myers Beach, Pine Island, Matlacha, Bonita Springs, Naples, Punta Gorda, and Port Charlotte. If you don't have room to store your RV, whether down here or up north, you may want to consider placing your RV in storage down here. Most places offer indoor storage, outdoors under cover, and outdoors in the open. Prices start at approximately $320/month for indoor storage, $200/month for outdoors under cover, and $80/month for open storage. For Florida, because of the heat and humidity, I would recommend the indoor or outdoor under cover storage. Look for storage places that have tall cement walls instead of chain link fences, hurricane resistant buildings, security cameras, abundant lighting, keypad controlled entrances, pest control, and regular cleanings. Extra amenities can include electrical hookup, washing, and dumping stations. Ask about discounts if you prepay for the year. RVing in Florida can be the adventure that changes your life ....... time to get on the road to great weather, fun, and relaxation!